Planning a wedding can be a daunting and antagonizing task for a large number of reasons. These reasons can range from making sure that the food at the wedding is right to coordinating all your irresponsible friends to ensure they are in the right place and following their responsibilities. There is also the issue of the budget. While weddings used to be extremely lavish back in the days, with today’s economy and the development of humans, they have come to the realization that spending so much of money and incurring themselves in debt is not a feasible option anymore. While it is true that getting married is a major point in anyone’s life, there is no shame with wanting to keep the expense as low as possible. For starters, when looking for a venue for the wedding, you can opt out of pricey and flashy wedding venues and stick to budget wedding venues that give you a taste of elegance without having to splash out a mind boggling amount of cash. While it may take a fair bit of time, there are good and cheap wedding reception venues that are sure to suit your purposes and taste. 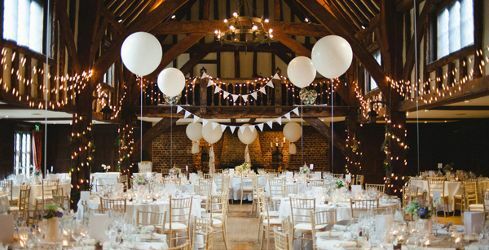 To achieve an even lower price, you can consider booking the wedding venue on a week day or book the location on an off peak day. To keep the costs down, you can avoid the exorbitant use of flowers. While it is not possible to remove flowers totally out of the equation, you can do some smart price shopping and stick to flowers that fit your budget while also providing you the appeal you want. You can also look to pick up a second hand wedding gown instead of buying a pricey and new wedding gown from the bridal store. According to wedding planners, one of the biggest reasons people waste money is due to their insistence on achieving movie like perfection during their wedding ceremonies. Opting for things like custom table cloths and signs are quite unnecessary as chances are high that the guests will never notice such tiny details. The guests are more focused on the major details like the ambience present in the place, the food and the ease of things between the couple. Quit the use of wedding programs for the entire event. Just walk in to any wedding and you will notice that guests always discard the wedding program without a second glance leaving the hosts with a waste disposal problem. Omitting the wedding programs from the wedding ceremony can help you cut down on a significant cost.